Ask 7 Experts 3 Questions, What’s Your Dream Car? HONDA MOTORCYCLE NUMBER ONE WORLDWIDE SINCE 1964. Honda has been and still is the largest Motorcycle, ATV and Scooter manufacturer in the world. In 1937, Soichiro Honda’s first venture at manufacturing failed. Then in 1941, Before Honda began building and selling Motorcycles, Cars and Power Equipment they manufactured piston rings for Toyota. In 1946 after the second world Honda Technical Research Institute is established. Honda and 12 of the best engineers designed the HONDA-A Type. The A-Type was built from 500cc Tohatsu war surplus radio generator engines and attached them to bicycles, then sold to the public. When Honda ran out of Tohatsu engines they copied the motors and manufactured their own to sell. The Honda Dream, D-Type is the first complete Motorcycle designed from the ground up by HONDA. In 1949, the D-type goes on sale to the public and by 1964 Honda becomes the largest manufacturer of motorcycles in the world. Now let us talk about the two-wheel lineup from Honda. There is currently 53 different models of scooters and motorcycles in production. These models range from scooters and dirt bikes all the way up to the heavy highway cruisers. #Honda has 4 scooter styles Each has it own distinct style. A stripped down model with very a minimal but rugged look is street legal and inexpensive comes with belt drive automatic transmission and a peppy 49cc engine great for on road or off road adventures. Spazio, Fusion sold all over the world this model has been called all three of those names as well as the Metropolitan. Comes with 4 stroke single cylinder 244cc engine with belt drive automatic transmission. Small light and dependable styling like the Vespa makes it very pleasant to ride. Jass has a fuel efficient 49cc engine and a CVT constant velocity transmission. Another of Hondas light fuel efficient scooters with the same 49cc engine and CVT transmission shared with many of Hondas small vehicle lineup. The ultimate off-road all-purpose workhorse for work or for play the Big red can handle the jobs that a regular four wheeler can not. Plus you can play in the mud all day and not spend all your money on gasoline. The Honda big red has 6 models and Comes with a 675cc single cylinder liquid cooled motor. Automatic transmission and 2WD 4WD, 4 Wheel-ALL-Wheel drive with locking differential. The Honda Big red will get you out of the deep mud puddles and haul the firewood from the back forty to the cabin. The four wheel all purpose work and this fun machine comes in several different model configurations. Starting with the TRX 90, 250EX, 420EX,500, Rancher, Canadian Trail Edition and Rubicon. Standard or push button automatic transmission and four-wheel drive. If you are looking for a reliable fuel efficient way to get around or just to do chores around the yard. This is the machine for you. You can even get many yard and garden attachments to help with the yard work. Honda has not forgotten about the adventure riders and the guys who like to tear up the dirt trails. The FTR 223, 19 hp at 7000rpm single. Perfect for around the farm and short runs to the store. The NX-4 single cylinder in various sizes depending on what year you wish to purchase. ranging from 125, 250, 450 and 650cc all street legal ready for the road. The SL model has been produced on and off since 1969 all with single cylinder 4-stroke. The FMX 650 has a rugged look with the Honda 650 single air cooled 4-stroke and 40 horsepower. The CR Series Off-road has been in production since 1989. Starting with CRM 250R, you can get the 85R Expert, 125, 150, 150R Expert, 230, 450, all reliable off road only dirt and trail ready motorcycles. Honda XR Offroad series has been in production since 1979.
featuring 33 variations in engine size and weights for beginners and expert riders. The smallest is 100cc XR Motard, 230, 250, 400, 650 and up to the street legal 750cc Africa Twin. Are race bread even before the inception of The Honda A-Type in 1946. Year after year Honda races and tests at incredible speed and forces, all of the Motorcycle and Automotive engines are designed to be sure of their reliability on the public streets around the world. 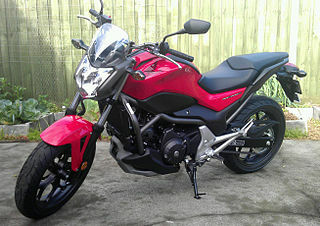 CBR, CB, CBX, VRF, VTR, NC, NT, NS, RC and The Dream are the street legal sport style Motorcycles available from Honda. 900. Have Standard transmission and some back in 1970 had the now legendary HONDAMATIC semi-automatic transmission. HOW FAST DO WANT TO GO? When we think of cool street cruisers it is different for each individual. Some like small and agile while others like a low ride with deep and growling pipes. Maybe you like and mean and loud so the cars and people around you will notice you coming from a distance. Whatever your style is Honda has the bike you are looking for. One of the smaller bikes in the cruiser class. The Rebel is great for fuel economy and makes an excellent commuter vehicle. Designed for the person who is looking to go riding for the first time or someone smaller in stature. Weighing in at only 331 pounds. The Rebel CMX 250cc Has been in production since 2007 and has a variety of paint colors, although the style has not changed, the same reliable Honda 250cc engine and 5-speed manual transmission remains constant. The CD class is also smaller but, has a sleek and nostalgic look. Mainly produced by Honda for the British market starting in 1967. This Motorcycle has had three engine changes in 50 years starting with 175cc, 125cc, 200cc and finally down to a 50cc fuel efficient parallel twin air cooled engine with 4-speed transmission. Great for short hops around town. Also known as the SCRAMBLER has been in production in different variations since 1965. 3 different engine sizes ranging from 77cc, 175cc and currently 400cc with 5-speed, transmission. Weighing in at 308Lb it is a lightweight bike perfect for a beginner or a short distance commuter. The street cruiser for folks who what low-rider style in a lightweight machine. With V-twin 400cc liquid and fan cooled radiator, 5-speed, transmission and chain drive. STEED has been in production since 1997. What can be said about the Honda Shadow for its beginnings in 1983 it has been an iconic brand for Honda motorcycles. You will see thousands of Shadow motorcycles at rallies and in neighborhoods around the world. Ask anyone you know that is a fan of motorcycles and they will tell you their story of owning one of these bikes was pleasurable. The Shadow is low maintenance and fuel efficient street and highway cruiser. The VT125 is the smallest and lightest in the Shadow Class weighing 320Lb is a great bike for beginners. Next came the heavier 1100 engine only produced until 2005 when it was discontinued by Honda and replaced by the VTX. The Shadow comes in five different trim levels. Shadow, Spirit, Sabre, Ace, Ace Tourer, and Aero. Engine sizes for Shadow range from 125cc, 400cc, 600cc, 750cc and 1100cc. I owed an 1100 ACE for 5 Years and never had a breakdown caused by an engine or transmission. One flat tire was all I ever had trouble with. VTX was the new king of the Big cruiser bikes when it was released to the buying public back in 2001 in direct competition with Harley-Davidson. The VTX had the 1800cc V-Twin, The largest displacement engine in a stock motorcycle at the time along with a 5-speed transmission, liquid cooling system and Silky smooth shaft drive. The VTX 1800cc was discontinued 2008 due to insurance prices I am sure. The VTX is also available with a 1300cc starting 2003. The Deluxe touring model was released 2006 with leather saddle bags, full-size windscreen and 1300cc V-Twin with 5-speed transmission. Beginning in 2009 the VTX gets a little face lift. Taking styling ques from the Fury Honda turn the Shadow line into a new chopper style of motorcycle. VT1300 is the same engine as the VTX and the Fury. Three trim lines are The Sabre, Stateline with fibreglass saddlebags and windscreen and The Interstate again with saddlebags and windscreen. You have now been introduced to the world first mass-produced Chopper style lowrider bike. Although the Fury had a poor reception into the market by bike enthusiasts honda has sold a few to the faithful. The Fury has the same 1300cc engine and transmission as the VTX and weighs in at 663lb. ABS brakes were added for extra stopping ability, because the Fury was a little hard to handle because of the length. Sports Touring For The Racer with Discerning taste Who likes to ride in Comfort. Starting in 1990 has had two different engines and 3 body styles including a police special. The ST is the second line of HONDA sport touring models second only to the Goldwing. ST1100 Pan European was the first and the V4 1100cc engine used in the ST has 100hp and weighs 670lbs with 5-speed, transmission. The body is covered in clean looking fiberglass and resembles some of the smaller sport bikes like the VRF, but has saddle bags and an available top box. 2002 the body style changes to a more aerodynamic look with a larger V4 fuel injected 1300cc motor with 5-speed, transmission, shaft drive and liquid cooling weighing 631lb 40 pounds less than the previous model of ST.
2003 the ST gets ABS brakes for greater stopping ability on wet surfaces and also stops the brakes from locking up during hard and emergency stopping. The ST is discontinued at is replaced by The CTX. The Honda CTX is available in two sizes the CTX700 and the CTX1300 like the ST with a little more chrome and GOLDWING styling cue. The CTX1300 weighs 731lb with the smooth 1300cc V4 and shaft drive and liquid cooling as well as available ABS, BLUE TOOTH and USB ports. The CTX700 is a different experience again the bike comes with parallel, twin 700cc engine, 6-speed automatic transmission with a paddle shifter so you can change gears with your thumb. I never thought I would ever ride, never mind own a Goldwing. Some of my friends had them and said to me if you ride one you will have to buy one. I did not believe the hype behind the legend, until one day I decided for myself. The HONDA dealer near me has a test ride day every summer and on a Saturday, this time, around. So I make plans for a couple of months in advance to go to the test ride. Why not? I said to my wife. A couple of months go by and the weekend comes around. So I gear up hop on my Shadow 1100 and ride to the dealership for the Demo Day at Honda Powerhouse. I wait my turn for a ride. I Choose the brand new HONDA F6B 1800cc. I was a little reticent at first (How am I going to handle such a big bike) Well let me say I was nervous at first but when you get going that bike stands right up at attention and is ready and willing to show you what she is made of. We did the 25-minute tour back to the dealer and when I got back if I had the cash I would have bought that bike then and there! The Honda F6B is the 750lb sports bike your mama warned you about. Tons of torque 120hp 5-speed transmission and faster than a bat out of hell. The dashboard looks like it is out of an airplane every possible gauge you will need is there. Blue tooth capable and audio controls at your fingertips. I can not tell you how fast it can go but I can tell you I was going 140 KPH and still had some throttle left before it was wide open. Ok, so I didn’t buy that bike but I did buy an older used GOLDWING and it is just as much fun to ride. You can’t go wrong with a GOLDWING it has all the comfort style and storage you will ever want on a motorcycle. I recommend the HONDA GOLDWING for an experienced rider. The 750lb sports bike your mama warned you about. Tons of torque 120hp 5-speed transmission and faster than a bat out of hell. 1975 HONDA changed the motorcycle landscape with the introduction of the GL1000. It in no means was the refined bike we know now but it was ahead of its time. With a liquid cooled 1000cc 4-cylinder 80hp and 5-speed shaft drive, Honda is way out ahead of the competition. 1979 Honda introduces the GL400 a smaller bike with a horizontal v-twin, more, fun and less money. Then in 1980 comes the GL500 Silverwing again less money more engine power = more fun. 1980 the GL1100 comes out with more features and starts looking like the GOLDWINGS we know now. Many are still on the road today. A friend of mine owns one. 1982 the Aspencade is born with audio components this the one to own. 1983-84 The Silverwing Interstate 650 is released. Full fairing and saddlebags included. 1984 Honda ups the game again with the new GL1200 GOLDWING ASPENCADE 4-cylinder 94hp and full fairing the new Aspencade is the one the competition has to keep up with. 1993 to 2000 the GL1500 becomes the king of the road fully loaded with everything you can think of for the time. CB radio, Cassette deck AM-FM stereo, Full function rider to passenger intercom system with available mic and headset, Fully adjustable front, rear air ride suspension powered by an onboard air compressor. With the compressor, you can fill your tires on the side of the road with the available air hose attachment. The GL1500 weighs in at 850lb dry. From 1999 to 2002 Honda ups the game against the leading competition with the stripped down GL1500 Valkyrie. You take the GL1500 engine and put in a sports bike frame and you have a fast comfortable tourer that is hard to compete with on the street and track. The Valkyrie is also available in an Interstate model with a batwing fairing, audio system, saddlebags and top box for lots of storage. 2002 Honda cranks it up another notch with the introduction of the GL1800. The 1832cc engine is 110hp and about 60 pounds lighter than the GL1500 new technology and lighter materials make the GL1800 800lb. The GL1800 comes with every option you can possibly ask including blue tooth, CD, USB audio, GPS navigation, Heated seats and grips you name it can be put on a GL1800. 2004 Honda GL1800 adds ABS braking and a front crash airbag for the rider. 2011 Honda changed the body style slightly and adds a few more options but the GL1800 motor still remains the heart of the motorcycle. 2016 today and the bike remains unchanged but you never know what Honda will do next. So are you convinced beyond a reasonable doubt that HONDA MOTORCYCLE NUMBER ONE WORLDWIDE is the world’s leading motorcycle company? Hey Cristina, Thanks for dropping by and reading. My goal is to help people find a hot car or a cool motorcycle I am Happy you have a better idea of what you are looking for. and almost took me out. No helmets back then. Great display of all the models and a little history I didn’t know about. NICE. Thanks for reading Rich come back another time and read my future posting. Hello, thank you for Stopping By. I am Dan the Writer and Administrator. Automotive enthusiast, love Sports Cars and Motorcycles. Please Leave Comments or Questions? I will be Happy to Answer. Free Thank You Gift for Subscribing! Copyright © 2019 Hot Cars Cool Motorcycles.